In the Classic series you will notice well-balanced, simple yet carefully planned lines, which however relate to the major features of the design of the Egg-Shell Prestige series. The quality of sound available from the Classic series is very close to the one you may enjoy in the Prestige series amplifiers. This is because the solutions used in both the lines of products are based on the same concepts. 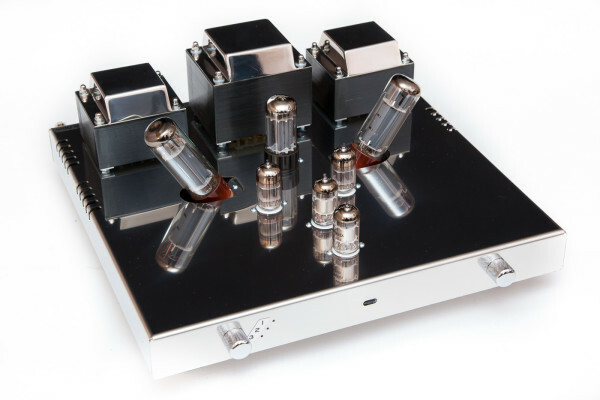 Integrated vacuum tube amplifier. Excellent detail separation, wide sound stage. Designed for small and medium rooms. In a set with high sensitivity speakers will please a very demanding listener even if installed in a large room.